Size 100mm x 1.6mm. and 150mm x 1.6mm. Ideal for renovation work and modernising office or house. Given the various heights you can remove old timber skirting and replace it with this modern look without having to repaint. Get that sleek and modern look that you want with aluminium flat bar. Stylish and cost effective, flat bar offers a very minimal look that helps you to finish off your walls with an easy to install solution. Available in a broad array of powder coat and anodised finishes flat bar is available in custom widths and custom colours so that you get just the look that you want. 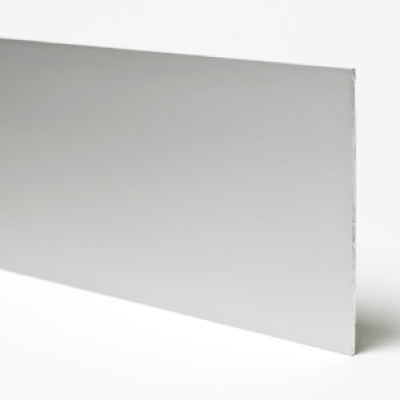 Flat bar is the solution for a wide range of home or office requirements.